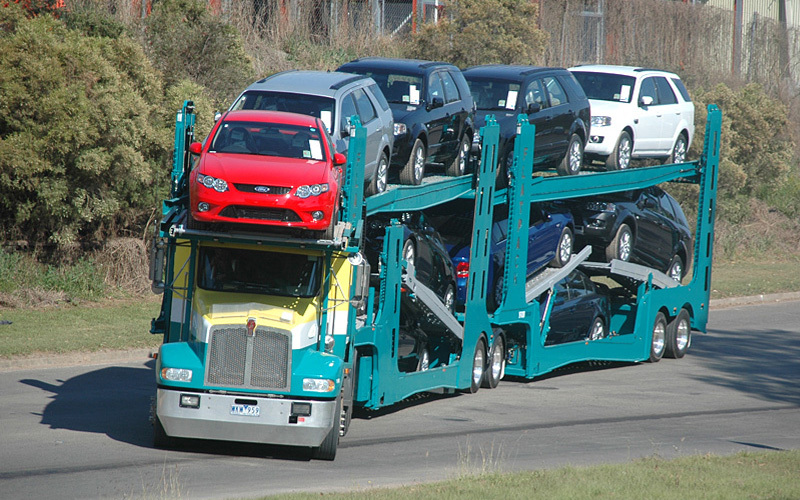 Traditional car carriers had significant safety problems with the risk to drivers of falling from height while loading vehicles, especially on upper decks and over the cab of the truck. 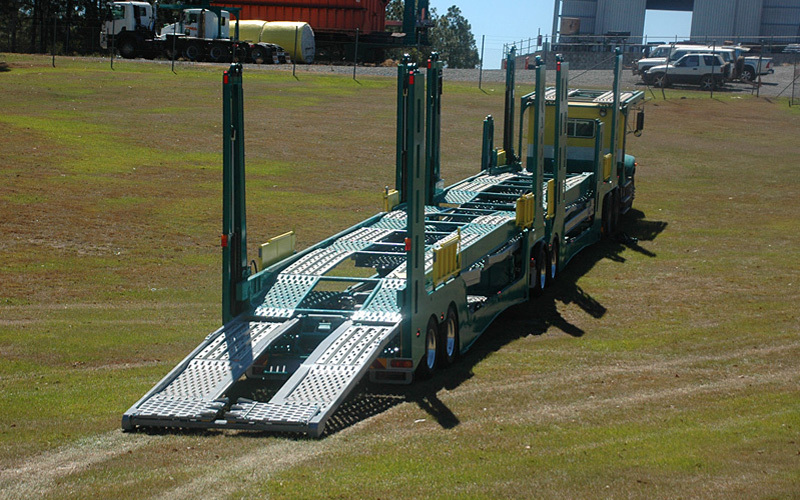 As well, uneven load surfaces presented significant slip and trip hazards. 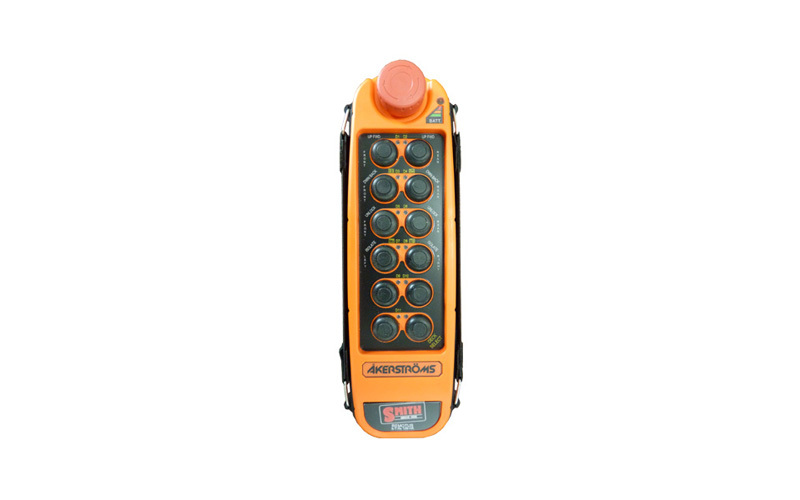 The need to repeatedly climb on decks increased operator fatigue and reduced productivity. Traditional deck adjustment procedures using pin-locks had large increments between lock positions, reducing the flexibility of deck positions and mixed load space optimisation. 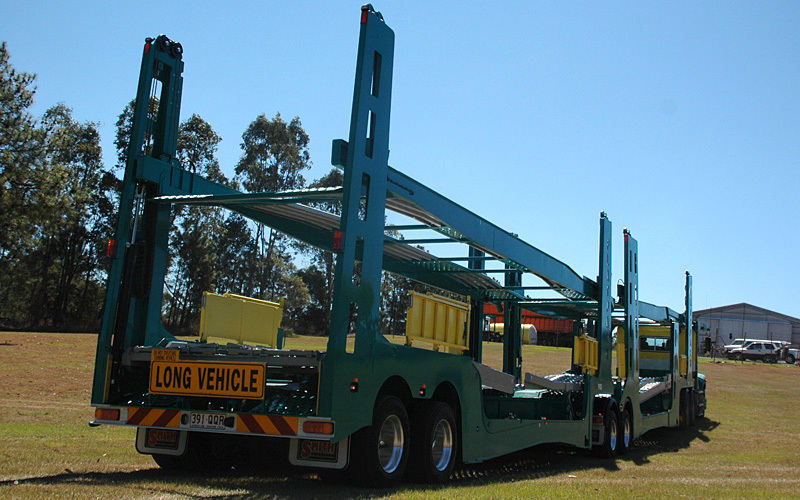 Smith Global developed the award-winning “Flatpack” range of car carriers. 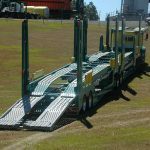 Clever design allows all vehicles to be loaded at a maximum height of 1.5m above the ground, including the vehicle that travels over the truck cabin. 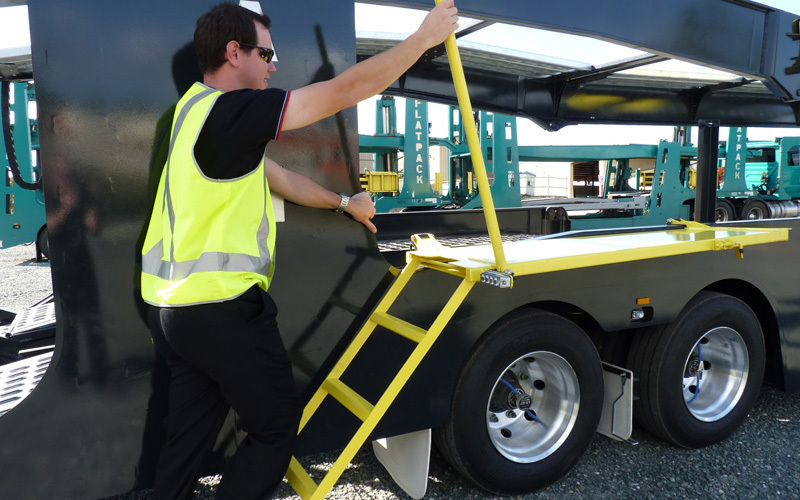 Fold-away access platforms and ladders provide further safe access for the driver to the cars during loading at 1.5m. Final adjustments to vehicle position are performed via radio remote control with the driver positioned safely on the ground. Unique ratchet-locks provide much more finite deck height adjustment increasing deck position flexibility and vehicle efficiency. 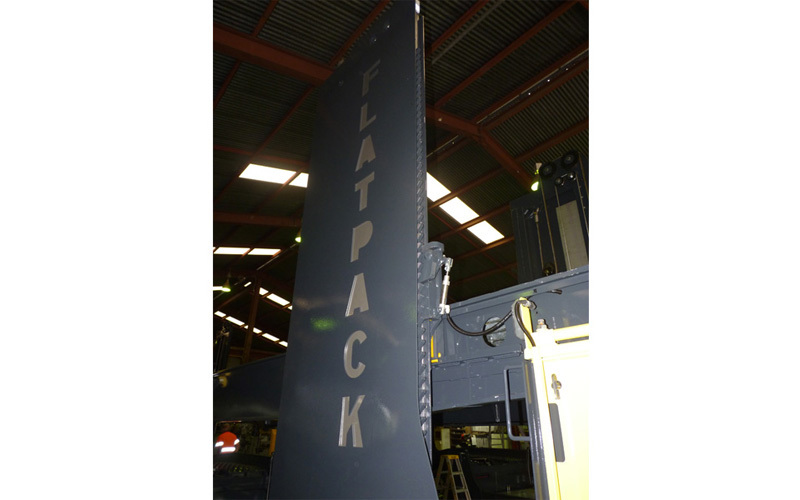 The Flatpack has been described by major corporate clients and industry leaders as “The most advanced car carrier in the world”.